The old adage… ‘People are your most important asset’; is wrong. Today’s recruitment specialist must know both the market and the people in it. With over 20 years recruiting in New Zealand, including the completion of thousands of successful assignments we have become an authority within our areas of recruitment specialisation. Manufacturing: Site and Plant Management, Production Leadership, Process Development/Improvement, Operational Excellence, Lean Manufacturing. General and Operations management: General management, Operations Management, Commercial Management, Divisional and Regional Management. Engineering & Infrastructure: Consulting Engineers, Engineering Management, Maintenance/Reliability, Control and Automation, Project Engineering/ Management, Process Engineering, Design Engineering. Procurement & Supply Chain: S&OP, Forecasting, Planning, Procurement, MRP, DRP, Inventory Management, Warehousing, Logistics and Distribution. Technology, Compliance and HSE: Compliance/Regulatory, Laboratory, Product Development, Packaging, Quality Assurance/ HACCP/GMP and Technical Management, Health and Safety. Lean & CI: Lean, Six Sigma, Black Belt / Green Belt, Lean Sigma, Continuous Improvement, Operations Excellence, Productivity Improvement. Sales and Marketing: Account Management, Product Management, Sales Executive/Representative, Business Development, Sales, Management, Customer Services Management. NPA Worldwide is a global network of premier independent recruiters working cooperatively to serve clients around the world. 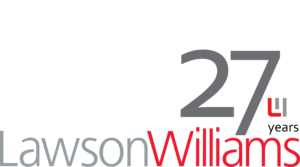 The international network provides Lawson Williams clients extended geographic reach, greater access to industry specialisation, and improved operating efficiencies. As a client of an NPAworldwide recruitment agency, you have access to candidates around the world. You can work with a local recruiting firm yet benefit from access to knowledge on six continents.